Your potential customers will begin the hiring process by researching three or more movers. This includes seeking out online reviews and testimonials—often referred to as “social proof” to verify your company’s reputation. In fact, 62 percent of homeowners turn to online reviews. And most importantly, 83 percent of homeowners ask friends or family members for a referral. To help you manage this increasingly important part of your marketing strategy, we’ve put together our top suggestions below. What’s the difference between a review, referral, and testimonial? Review: A customer rates your service on an independent online site like Yelp, Google, or Angie’s List. Testimonial: A customer gives you permission to quote them singing your praises in your marketing materials. Referral: A customer directly recommends you to a friend or family member. Testimonials - a simple quote to use on your marketing materials. Online Reviews - Let them know how much online reviews help your business and ask if they would be willing to rate you online. Remember, they’re busy unpacking and are doing you a favor, so be sure to include the link to the review site in the email and stress that it will only take a few minutes of their time. 3) Referrals - It doesn’t hurt to remind them that you would like to help move their friends and family. Make sure to offer something for them and also a pass-along offer for their family and friends. It is easy to forward an email to friends and family. Offer your customers a small reward like a Starbucks gift card or car wash coupon for sending new business your way. When promoting your reward program in your marketing materials, be sure to thank them for helping your business. See our thank you card template. Note: By making the effort to follow up with every customer, you will find that some customers may not be satisfied with your service. This is a great time to correct the situation and prevent this customer from posting negative reviews about your company. If you are consistently doing immediate follow up with your customers, you will always have fresh testimonials that you can use to update your marketing materials. Make sure to have a planned place to store the approved customer quotes in a central, shared location, so it’s easy to find them when you’re updating marketing materials. For online reviews, make sure you’re checking your companies pages at least once a week. If possible, thank customers for rating you in the comments. What should we do if we get a bad online review? It’s bound to happen to every business. Your best approach is to remain calm, don’t take it personally, and respond as soon as possible, even if you can’t fix the problem. Remember, the customer is always right. People reading the review are going to be paying even more attention to your response and how you treat past customers. How do we boost our number of referrals? We strongly recommend mailing to your past customers a thank you for their past business. 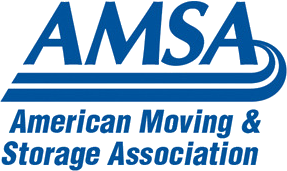 36 percent of homeowners say that they would contact a mover they have used in the past for a future move - if they can remember who they are! So keeping your business fresh in their minds will lead to repeat business. A card around the holiday is often well received. But most importantly, in the spring, when your past customers and their friends and families are likely to be planning a move, mailing a postcard will help them remember to reuse you or refer you to their friends and family. We call this an A.A.R.W (Ask Repeat Refer to Win) mailing service— you can do it yourself or simply submit your list and artwork and we can do it for you! We hoped you have found these suggestion helpful in planning your follow up to capture and turn your past customers into new business. Again, check out more information in our guide to Turning Past Customers in Future Business. Feel free to contact us at 303-443-0767.